styles and inspirations to feast, share and prepare for the holy month. Elegant embrace Create harmony at home with our classic looks, modern designs and great value picks that let you connect and reflect with loved ones in comfort and style. #ComeDiscover Valuable Moments At Home Centre, we always want to do our bit in bringing elegance and togetherness to your home. This Ramadan, weâ&#x20AC;&#x2122;re inviting you on a journey of discovery through new looks and styles that enhance the moments key to a harmonious, healthy holy month. Traditional Arabic calligraphy, modern silhouettes and Bedouin-inspired patterns deďŹ ne our offering, whether on a sumptuous sofa, luxury cotton towel or glamorous cutlery set. Find further inspiration for the month in our wide selection of great value products, choice of little buys that have a big impact and pick of thoughtful gifts for your loved ones. So, make this Ramadan one to remember and #ComeDiscover everything you need to prepare, rest and embrace valuable moments in store and online. SHOP ANYTIME, ANYWHERE. Discover more than 10,000 products in store, online or via our mobile app. Find exclusive recipes for Ramadan on our website. Keep an eye out for our top picks of great value products. GET THE LOOK A simple hint of gold catches the eye and brings a space together, making these objects of desire particularly well suited for your larger rooms. You deserve pristine presentation this holy month. Thatâ&#x20AC;&#x2122;s why these sets include dinner and side plates, bowls and tea cups and saucers in designs that elevate every meal. Mealtimes take on special significance during Ramadan. The elaborate designs of our classic dinner sets provide a fitting backdrop for you to savour every moment, and bite, with loved ones. When it comes to an elegant iftar, the setting is just as important as the food served. From intricate placemats to classically embroidered napkins, these little details make a big difference to the way your table looks and your guests feel. Enhance your hosting skills this Ramadan with stylish, problem-solving serveware. Whether it’s for the purpose of making your banquets look inviting or for more practical reasons, such as keeping food hot, our serveware selection has you covered. Refresh and relax From dispensers and tumblers to cawa sets and flutes, our glassware lets you sip in style when hosting iftar, sharing suhoor or simply taking a quiet moment for yourself. Select cutlery ranges and glassware are made in Italy using the finest materials. Whether youâ&#x20AC;&#x2122;re serving modern fare or classic dishes, our cutlery sets showcase the finest materials and elegant shapes for the finishing flourish on your most impressive iftar table yet. Get creative in the kitchen with professional-quality pots and pans and cook-friendly utility picks. Whether you’re adding to cookware you already own or are starting from scratch, these individual items and ranges help you prepare hearty, healthy and delicious dishes. When preparing food for suhoor and iftar, you need equipment you can count on. With durable materials and cook-friendly features, our collection of versatile pots, pans and more delivers exactly that. Get ready for a month of cooking with our long-lasting, versatile utensils, crafted to make your time in the kitchen easier and more enjoyable this Ramadan. Get help in the kitchen this Ramadan with the MasterPro range of utensils. This new arrival makes meal prep simple, speedy and stress-free. Find value in the kitchen with our new selection of top-of-the-range, affordable utensils. Crafted from smart stainless steel and flexible nylon, this range looks as good as it performs. Make everlasting memories this holy month with our new array of kids’ bakeware. Thanks to our selection of adorable aprons, tins and cute kits, this Ramadan is the perfect time to get little ones excited to enter the kitchen and bring out their sweet side. A contemporary take on timeless craftsmanship With a symmetry of soft blues and geometric gold patterns, the plush Amani Living collection reflects and reinvents the beauty of traditional Arabic architecture so that you can connect with those close to you in a modern, comfortable setting. GET THE LOOK These calligraphycovered cushions are an effortless yet exquisite way to make your living room a cosy spot for conversation when family and guests gather. Luxury renewed Crafted from rich materials, alluring tones and modern shapes, the covetable Eclipse range brings a new sense of harmony into the heart of your home for Ramadan. From mid-century profiles to classic styles, you’re sure to find the sofa you’re looking for in our wide range, featuring various sizes, shapes and fabrics to suit your preference. Inspired by tradition and tailored to modern tastes, the vibrant tones, soulful patterns and dark wood furniture of the Emily collection celebrates both ancient Arabic culture and the act of spending time together as a family during Ramadan. GET THE LOOK Style a harmonious space by picking pieces that share a common thread. In the case of this look, it's the beautiful red tones and charming Bedouin patterns. Bring value and versatility to your home with these small yet sparkling additions. 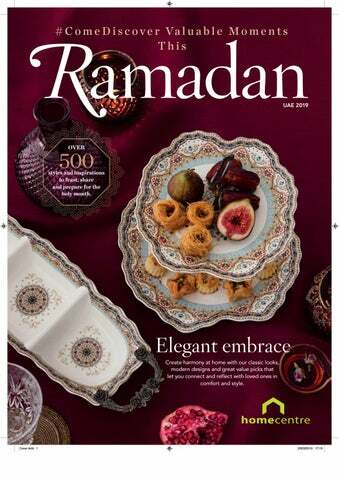 This collection features simple, affordable ways to update your home for Ramadan, including tea sets and serving trolleys. See in store and online for a wide range of mirror and consoles and nest tables. With our wide range of tea sets and serving trolleys, you can create a space in your home to retune, refresh and relax once the sun has set. Set the right mood for all times of day during Ramadan with our lighting collection. Weâ&#x20AC;&#x2122;ve got gorgeous designs that will dim, brighten and create the ideal atmosphere from sunrise to sunset. GET THE LOOK There are a number of ways lighting can set the mood when you gather for iftar. Shaded sources glow, pendants make a statement and candles illuminate. T he spirit and style of generosity Inspired by the majesty of Moroccan patterns and with spectacular gilded touches, the Amani Dining collection is as abundantly beautiful as your feasts. Make smaller spaces feel special with our compact dining tables. We know that not every home has endless room for dining, but that doesn’t mean your feasts can’t look impressive. Dine with distinction with our elegant four- to six-seater tables. Welcome grace and refinement to your feasts with the modern textures and cool, soothing tones of the Petunia Dining collection. Turning to tradition through regal upholstery and ornate motifs, the Edgar Dining collection upholds the virtue of making iftar guests feel looked after and special. GET THE LOOK From our Royal Prestige look, the Edgar Dining chairs feature motifs on the backs. Continue this theme by laying your table with patterned, textured place settings. Be the host with the most with our wide range of six- to eight-seater dining tables. During Ramadan, where you eat is just as key as what you eat. These great-quality dining sets are crafted to offer style, comfort and support to make every occasion special. With a procession of intricate patterns and profiles, the Royal Dining collection is replete with exquisite details that make your dining room the place to be this Ramadan. Wonder walls Ramadan is a time for reflection. Our traditional calligraphic artwork, wall features and mirrors transform your home into a place for pause. GET THE LOOK Artwork, mirrors and décor are authentic ways to bring wisdom to your walls. We have a wide range of styles and designs for every room. Rest better than ever this Ramadan with our range of beds. We value your comfort and wellbeing, which is why you can rest assured that our selection of bed frames and sets will have a space for sleep that suits your budget. Sleeping patterns Good rest is key to your wellbeing at Ramadan. The Amani Bedroom collection displays gorgeous textures and tones that allow you to rest in style and comfort. Get set for Ramadan with our gorgeous bath towels, trinkets and more. For your wellness and comfort, we use materials that are soft on skin and keep you cool at night. Fresh towels and new accessories are small updates that have a big impact on the way you feel during Ramadan. Our range features an array of beautiful patterns you’ll love. Fairytale beginning Get their Ramadan off to the perfect start with our magical four-poster bed and a wide variety of décor they’ll adore. The more they grow, the more belongings they have. These drawers keep their room tidy. Whether they're for family, friends, neighbours or colleagues, our little gifts will always mean a lot. Any product purchased from Home Centre has been built to the highest standards of safety. It’s our number one priority, so we conduct regular safety tests in adherence with guidelines set by the government and third parties. We use the best eco-friendly materials and quality craftsmanship to ensure every item is in top condition. Home Centre offers a 1-year warranty on all household items, and up to 5 years warranty on all furniture. We are proud of the materials and workmanship that go into all of our products and want you to have conﬁdence in your purchases. Additional terms & conditions apply. Visit our stores or go online at homecentre.com for more details. Now enjoy 0% ﬁnancing when you purchase a minimum of Dhs 1,000 worth of furniture, allowing you to furnish your dream home without the hassle of a one-time payment. Contact customer service for more details. Enjoy our door-to-door delivery and convenient assembly service for furniture by our team of expert carpenters transforming your home in no time, subject to a minimum spend. Banking as it should be. 24 months EPP option for selected cards. *T&Cs apply. Every reasonable effort is made to ensure that all featured merchandise is available, but interruption in supply may occur due to unforeseen circumstances that cannot be predicted or controlled. Merchandise featured in this catalogue is just an example of our vast range available at Home Centre. We reserve the right to alter the prices due to reasons beyond our control. All the sizes in this catalogue are approximate. Sizes should be checked in store prior to purchase. All beds are priced excluding the mattress. 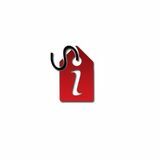 Prices may vary during sales or promotions. If you are not satisﬁed with your purchase for any reason, you can always opt for an exchange or refund within 14 days; provided the product is unused and returned in its original condition. For hygiene reasons, no unwrapped bedding will be accepted. Remember to bring your original payment receipt along so we can track your purchase. If you have paid through a debit or credit card, we will only need the payment card to enable a refund. Assembled products cannot be exchanged unless they have a manufacturing defect. Home Centre reserves the right to determine this. Questions, comments or concerns – we’re here for you, whatever’s on your mind. Call us on our toll-free number 800 MYHOME (694663). Turn your dream home into a reality this Ramadan with our Home Design Service. See in store or online for details.